The Symfonisk table lamp includes volume and track control buttons, as well as two class-D digital amps, one tweeter and one mid-woofer. People wanting smart lighting functions will have to buy their own smart bulb separately. The second speaker — also under the Symfonisk brand — is meant to sit on shelves or attach to walls. While it can be positioned vertically, when horizontal, it can serve as a small bookshelf in its own right. Internal specs are similar to the lamp but likely not as powerful. 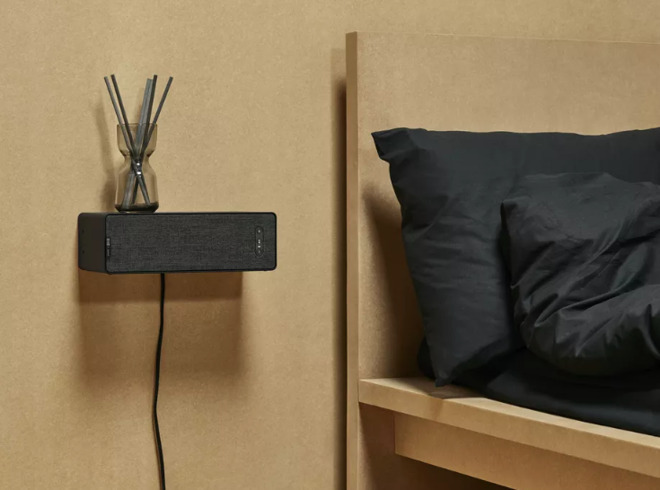 Both speakers will integrate with existing Sonos systems and take advantage of that company's TruePlay technology, which tunes performance based on reverberated sound. Some other control options will include a native Ikea app and Spotify integration. AirPlay 2 will allow Siri controls, and multi-speaker grouping without having to go through the Sonos app. By extension, the Symfonisk line will also have limited control through HomeKit. 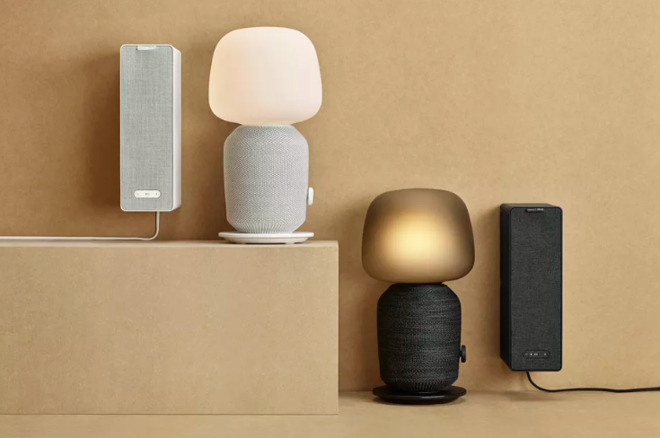 Both the lamp and bookshelf speaker will ship in August, at prices of $179 and $99 respectively.